The eBay subsidiary PayPal wants to support Apple in the implementation of the proposed mobile payment service according to the reports. Paypal is also working on its own payment system for commercial establishments. In the forthcoming extension of Apple's mobile payment services Paypal wants to be one of the party. This was reported by the managers from the industry. Paypal is allegedly approached the iPhone maker and has shown his willingness to offer his assistance in the implementation of the payment service - eBay's daughter was even willing to provide white label components for Apple's numbering system, write code - " of the fraud detection on the backend infrastructure, possibly even in paying entry". Apple is working on their own mobile payment service on non - digital goods. However, it remains unclear on what techniques the company is doing and how he is interested in Paypal's offer. In Apple's retail stores it takes more time to pay for certain accessories in iTunes account, the customer scans the bar code for the product with the iPhone. When shopping in the iTunes Store users of the iPhone 5s in turn can authorize the payment with their fingerprint instead of fumbling to type the password. PayPal offers "Paypal Beacon" which is already a payment solution for retailers to. This uses Bluetooth - the payment will be on location by Paypal App. Apple also uses Bluetooth and increased Smart transmitters. iPods and iPhones are tech marvels that have taken the world by storm. While iPod is literally a travelling multimedia powerhouse, iPhone has proven to be more than just a great phone, packing in features and efficiency hitherto unheard of. So many great features adorn both these machines that you will get enough as far as using them is concerned. This brings us to the perennial question of battery life of these two equipments. 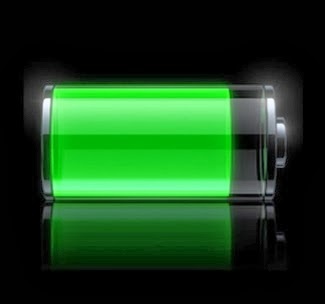 While Apple does promise you a fair bit of battery life for both these machines, there are a few tips that will help you as a user to extend the battery of the iPod and iPhone. 1. Enable auto brightness: This feature helps you to save battery by using less of the screen brightness in broad daylight. 2. Keep Wi-fi off: Keeping the Wi-fi off helps you as the iPod does not try t connect to networks. This reduces strain on battery. 3. Turn off Location services: Like Wi-fi, location services are also usually trying to connect to networks to determine your location. Hence, if you are not very much in urgent need if identifying your location, keep it switched off. 4. Check email less often: More you keep checking mail, the more your iPod connects to Wi-fi, and the more battery is used. Check eail only when you think you really need to and you could save battery. 5. Set up a quick Auto-lock: The auto-lick feature is meant for locking screen wghen not in use and if you set up you iPod to get locked within say 30 seconds of idling, the better. When locked, battery usage is minimal and the iPod hardly uses any power. 6. Turn off Equalizer: The Equalizer is a great feature when it comes to hearing music on your iPod but the flip side is that you tend up to use too much of battery. So if you think the music that you are listening to does not need an equalizer effect, turn it of and use only when absolutely necessary. While all the above tips will help you save battery on a iPhone as well, there are a few additional steps that are specific to the iPhone usage. a. Turn of Bluetooth: While Bluetooth is a great feature, leaving it on unnecessarily not only drains battery life but also exposes your phone to unwanted data from other users. b. Disable background motion: Background motion is subtle feature which moves your app icons as you move or tilt your iPhone. This takes up a sufficient amount of battery and could drain faster than you expect. c. Turn of 3G/4G: Like Wi-fi, 3G/4G also connects to networks for faster and better quality calls. So, use them only if necessary and you could save on battery and money as well. Finally, there is of course the option of buying an extended life battery. With such a battery, you will get more standby time and many more hours to use. Apple has been a pioneer as far as tech products are concerned, and even though Steve jobs is no more; the organization continues to reign the tech charts and produces one chart buster after another. Two of their latest products that have hit the markets and taken it by storm are their iPhone models, iPhone 5S and iPhone 5C. If you are stuck in a warp and unable to decide what to buy from the apple stable, here listed are seven differences between these two stars of the apple productions. Look at them and decide what you want! First up, let me list those features that are available in one but completely absent in the other. 1. Co-Processor: A motion co-processor, you heard it right, is a feature available only in the 5S and this processes and gets you apps that the phone thinks is good for you, depending upon the user’s motion. It is a chip which interacts with the physical censors and anticipates the requirements in terms of apps that the user might need. 2. Fingerprint Scanner: This is available only in 5S and is a great security feature for your iPhone. If you are spending a bomb buying something, you might as well ensure that it is safe and secure, and that is precisely what the fingerprint scanner does. It opens the iPhone only if you swipe your finger and the phone recognises your fingerprint. 3. Speed of the processor: 5S is supported by an Apple 7 processor whereas 5C is equipped with an A6. Needless to stay, as the numbers indicate, A7 is better than A6 processor, which makes 5S more efficient and faster; this is of course not to downgrade A6, as it is also pretty good, just that in comparison, A7 is better. 4. 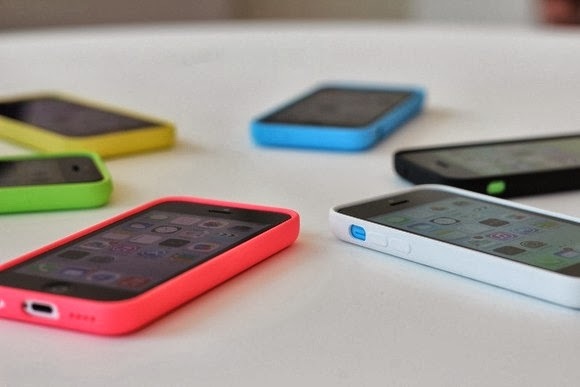 Storage: 5S has a better storage capacity, up to 64GB, where as the 5C is limited to 16GB and 32 GB models. So if you want to tank up on loads of music and photos, you know what to buy. 5. Camera: The 5S camera is more efficient and holds better features in terms of dual flash for better colours and even can record in slow motion, while the 5C camera does not have these advanced features. As far as specifications go, both are 8 megapixels. 6. Colours: 5C is more youthful and vibrant with great colours like yellow, blue, pink & green, while 5S is more sober and comes in very formal colours. 7. Price: A very important factor, and you guessed it right, 5S is more expensive than 5C. With some advance features, what else can you expect? As a comparison, 32GB model of 5C costs $199, while 32GB of 5S costs $299. Hope the above helps you make a decision. Happy shopping!! As the iPhone 5S was launched, there was an additional security feature that caught the attention of tech buffs around the world. It was the fingerprint scanner, a great security feature that secures your iPhone and can be operated only after you swipe your finger on the scanner and the scanner recognizes your finger print. This technology uses your finger print as your pass code, which means that chances of getting hacked are almost zero, as every human being is known to have a unique finger print. To use this great feature, you need to first set this up and then go on and use it. 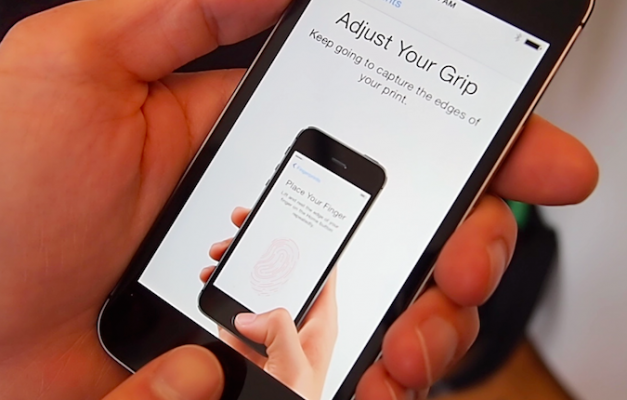 Setting up Touch ID: Configuration is quite simple, as you need to first set up a pass code. Even though usage of passcode is substituted by the finger print by way of this application, a passcode is needed while setting up this up, in order to register your finger print in the machine. It is also needed in case you decide to change your finger print by way of using a new finger. a. To set up the touch ID feature, go to settings-General-Touch ID & Passcode-Touch ID. b. Have a clean home button and a clean & dry finger. c. Hold the phone normally and touch the home button. d. Place your finger on the home button, and hold it until it vibrates. e. Once the initial scanning is done, make small movements to your finger so that all areas of the finger are covered. f. In case you face trouble scanning one finger, try another finger. This feature is like carrying the passcode embedded, not having to remember it. You can always use this as a combination as well, passcode and finger print scanning, but that is like making life difficult for one self. For the scanner to recognize your finger print, you need to ensure that you use the finger that you have already enrolled. This feature though comes with a small problem. This might not necessarily work for those who are involved with working with bare hands, as the finger prints on such hands are in danger of getting changed frequently. Even a minute change can result in your phone not getting unlocked. To use this scanner, press the home button once to activate your phone, and keep your finger lightly on the button. The phone shall be unlocked. If due to any error, the finger print is not recognised, you will have to try again. Do not try more than 5 times as the phone gets factory locked. In such a scenario, try using the passcode. This scanning feature can be used as a substitute to your Apple ID when making purchases on iTunes, App store, iBooks or any such transaction on your iPhone as well. A couple of prerequisites for this feature to function seamlessly are a clean home button and a clean & dry finger. So always ensure that your iPhone is clean and dry at all times! What would you do if your iPhone is stolen? Now a day smart phones are commonly used by everyone. It becomes everyone’s dream. As everyone’s desire is to use smart phones, it gets more and more exciting every day. As the features increases the cost is also increases. iPhone is the most costly smart phone in India. So the cost increases the features as well as the security increases. Now a day almost all the smart phones support Anti theft feature. This is more common and must have feature in smart phone. Everyone’s mobile consist of their personal data such as photos, videos, contacts, privacy password, and much more secure data. So to avoid the exposure of one’s personal data we use this anti theft feature to make their data safe and secure. This feature can be accessed by many ways. Many paid and free apps allow for this feature. Also the system apps are installed previously to save your personal data. This also notifies the user if the mobile is missed or misplaced. This notification is done by the way that is preferred by the user. The commonly used anti theft ways are shown below. The simple way is to use a pass code lock for your iPhone. The iPhone does not come with a default password. So the user has to choose a pass code to lock their devices. The pass code should not be guessed easily. The commonly used password such as 1234, 0000 & 12345 are easily guessed and can be hacked. To avoid those one must use a complicated password. Simply use a password with has alphabets (both small and caps characters), punctuations and numbers. For example the password should be like this “Iphone_5S_2013”. By this way the password will be safe and not easily hacked the others. Also many software are used to lock your device. The apps are available in both paid and free versions. The above apps are used to lock your device as well as the personal data. These apps encrypt your text messages, photos, videos, notes, mails and so on. By using these apps one can also use cloud to make a backup of their data. These are the common achieved features in those security apps. This can be done before the device is lost. But if the device is lost before taking these measures then the following ways must be taken to save your device and to track them. The device that can be tracked using the application named as Find My iPhone, which can be used to recover your lost or stolen device and there are many more applications present in the iTunes store to recover or track your lost iPhone. Find My iPhone comes pre installed in the latest version of iOS and if you have an outdated version of iOS you can download it from the iTunes store and can be installed with the help of iTunes present on the system.